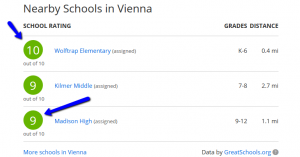 Are School Ratings part of your Home Search? 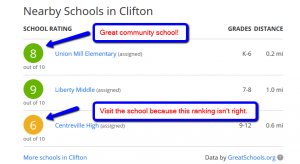 Are home buyers obsessed with school ratings on real estate web sites? 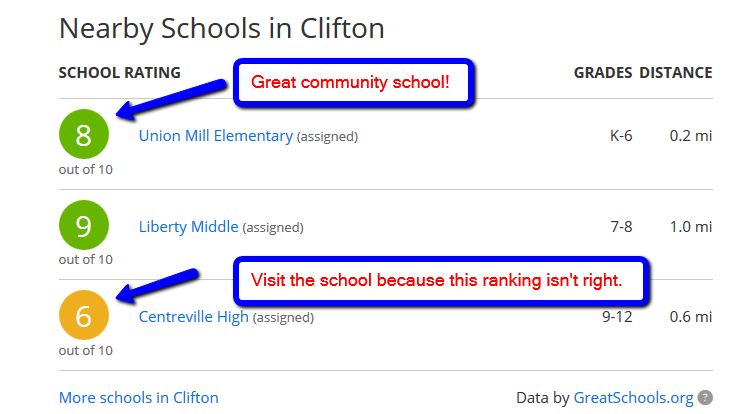 Most real estate sites now have data on local schools and show ratings from 1-10 on the overall performance (test results) and then give summaries and some parent comments on actual experiences. Take a look at Zillow, FranklyMLS or Redfin pages for information from GreatSchools.org (which does seem to have plenty of advertising). 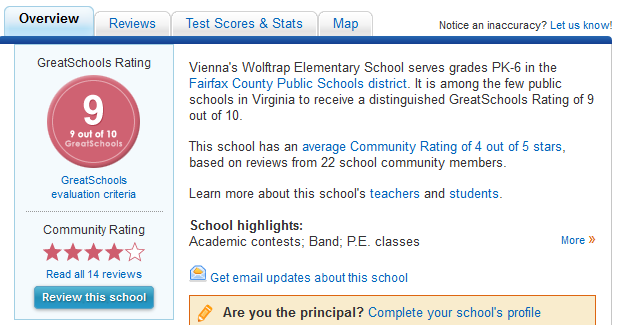 These rankings are based on test results which Fairfax County Public Schools is obsessed with these days. Unfortunately, you are left making decisions using this data if you don’t spend some time researching current data like student population or current class size. 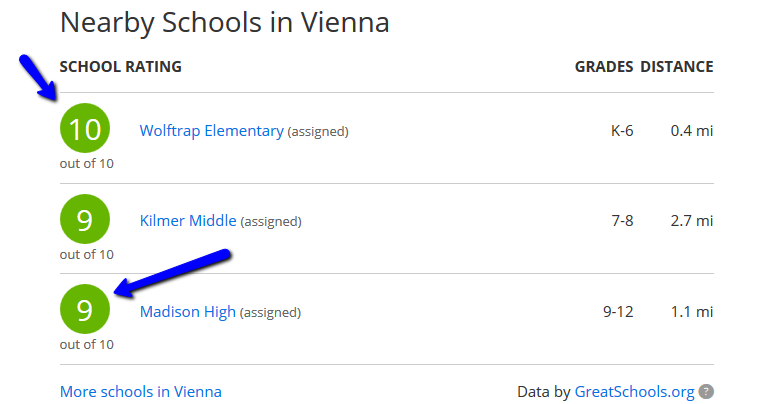 And sometimes these ranking can give the casual reader the impression there is something wrong with a particular school. Centreville High, in this example, appears to be the bad-apple but if you take a closer look you will find a dynamic school with the 2013 State Champion Football team, Performing Arts program, AP classes, high graduation rate and college acceptance. Living in Vienna Virginia, my personal experience has been with Fairfax County Public Schools. Some of my clients have children that go to Arlington Schools, Falls Church City Schools and Alexandria City Schools with really positive results. If you really want to do your “due diligence” on a particular school so that you can be truly confident that you are buying a home in the best possible neighborhood, then please use these ratings as guides and then check out the school yourself. Fairfax Schools all have web sites now (as every school must have these days) so go and check them out. Investigate the PTA link which probably has after school info or planned events for the year. So, plan to do a little more work than simply requiring that the school must have an 8 or above rating because your experience will only be as good as your involvement in your child’s experience.